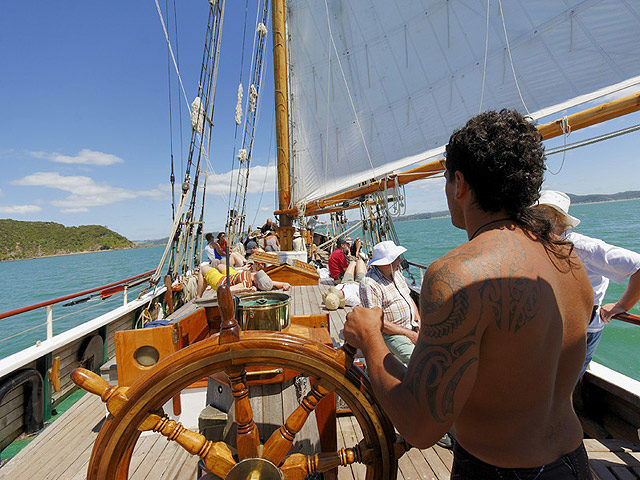 Come sailing on Northland’s own iconic tall ship the R. Tucker Thompson! 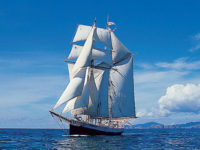 Often voted the best day of any holiday it is always an experience not to be missed. 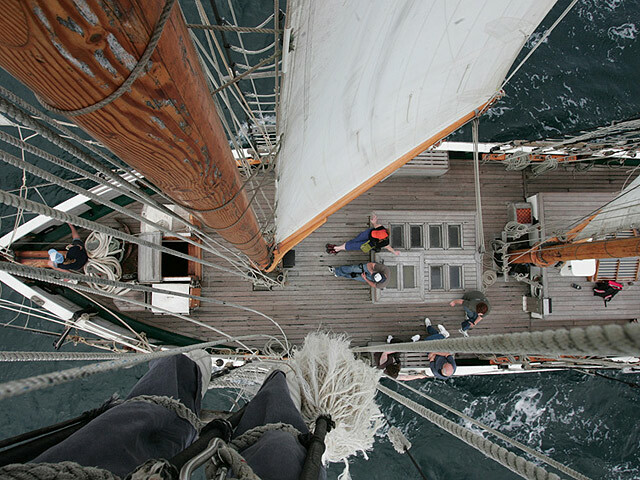 You’ll be able to get involved with sailing the ship, help set the sails, ride on the bowsprit, climb the rigging, or alternatively you can simply relax while our crew does the work. The ship is spacious and comfortable and the friendly crew makes it a memorable and personal experience. 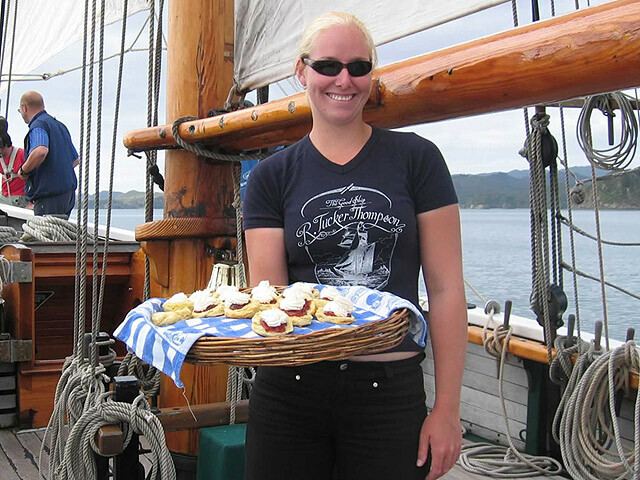 Morning cream tea and a delicious BBQ lunch are included. With the wind behind her, the “Tucker” is one of Bay’s most eco-friendly vessels so you’ll know that your carbon footprint has been kept to a minimum. 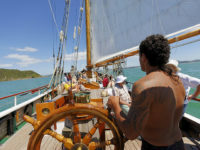 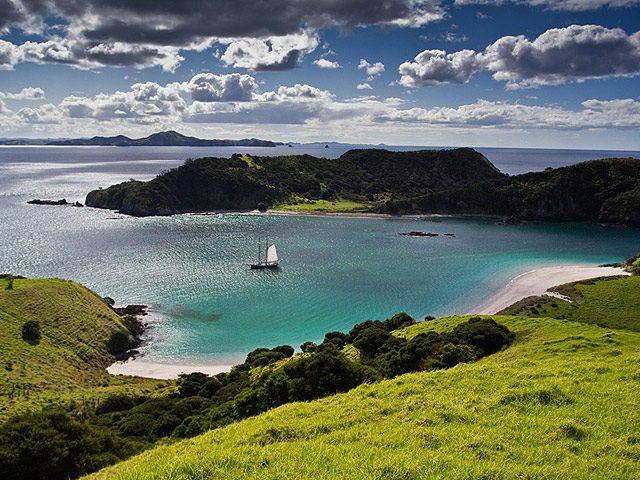 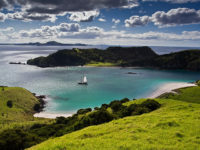 The ship is operated as a not-for profit charitable trust with profits from day sail activities being used to support youth sail training programmes over the New Zealand winter. 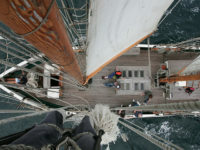 Over winter we run 7-day youth sail training voyages, starting after Easter.